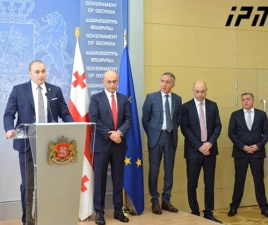 TBILISI, DFWatch–Georgia’s prime minister in waiting defended his handling of the economic crisis as he answered questions from parliamentarians on Monday ahead of a confirmation vote today, Tuesday. As expected, Giorgi Kvirikashvili’s tenure as economy minister came up during the debate. 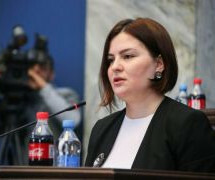 MP Giorgi Gabashvili from the National Movement pointed out that while Kvirikashvili was economy minister, the Georgian lari has been depreciated, poverty has worsened, and the economy has failed to grow. 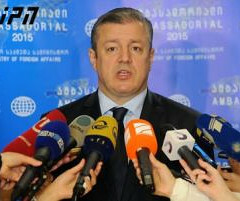 In his answer, Kvirikashvili highlighted the pressure on business during the years the National Movement was in power. 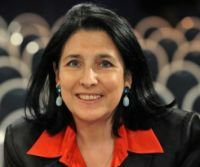 As reported by DFWatch, companies that were successful were often pressured to give up shares to investors connected to the government, sometimes termed top-level corruption. When a country switches to ‘a democratic system’ and frees business from pressure, it must be expected that the economic figures slow down, the prime ministerial candidate argued. “The reason for this slowdown, as I have mentioned in the past, was both domestic and external factors. Let’s recall the situation in the country. I remember cars of the intelligence services used to be at my house for weeks,” he said, a comment which was met with noise from MPs. People will assess current events and see the difference, Kvirikashvili added. The fight against poverty was also brought up by another opposition party, the Free Democrats. MP Zurab Abashidze, who used to be member of Georgian Dream coalition until late 2014, handed Kvirikashvili the coalition’s election program from 2012. “If you don’t have it I hope it will become your guidebook,” Abashidze said, and referred to two particular points in the program: restoring justice and the fight against poverty. Restoring justice was one of the main themes of the 2012 campaign, which took place after years of demonstrations against perceived misuse of power by the government and demands for justice and compensation for victims. After winning the election, the new government began a series of trials against former officials, but has postponed plans to go through the tens of thousands of complaints from ordinary people. Kvirikashvili expressed surprise by the gesture, thanked Abashidze and responded that he already has the election program. In a later remark while meeting with National Movement lawmakers, he said that the coalition’s election promises were sometimes ‘excessive’, however this doesn’t mean that people have been abandoned. 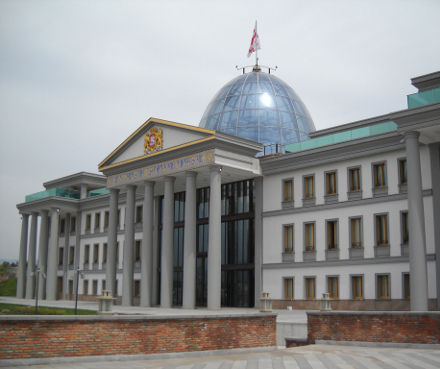 Lawmakers also were also told how the new PM will be different from his predecessor Irakli Garibashvili, who had a falling out with the president – a coalition partner – that began with disagreement over whether a palace built by ex-President Saakashvili should be used for official purposes. Current President Giorgi Margvelashvili decided nearly two years ago to begin using the Avlabari palace. But he added that if he were president, he would listen to the the government’s view. Another expected change is that the new PM will attend meetings of the National Security Council. 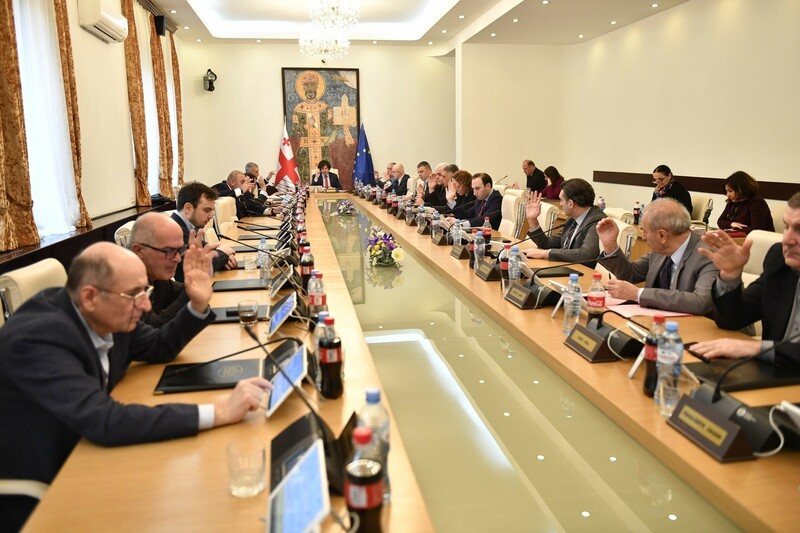 His predecessor Garibashvili used to skip the sessions and even created a separate body with the same responsibilities as NSC, called the Crisis Management and Security Council, which is subordinate to the government. Background: Who is the new PM? 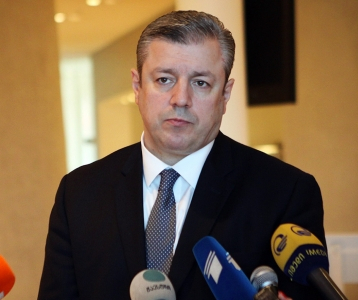 Giorgi Kvirikashvili – the PM designate – was born on 20 July, 1967. He has a wife and four children. In the 1990s, he worked at the economics department at the government office. From 1999 to 2004, he was a member of parliament and served as deputy head of the committee on economic policy. He then moved into banking, and built his experience working for several banks, becoming CEO of Cartu Bank in 2006, a job he held until October, 2011. Cartu Bank is owned by Bidzina Ivanishvili, a businessman who created the coalition currently in government. From October 25, 2012 to September, 2015, Kvirikashvili was Minister of Economy in the Georgian Dream government. His tenure was marked by a sharp depreciation of the Georgian lari. He visited China several times, as Chinese companies began large infrastructure projects in Georgia. Since July 26, 2013 he has been vice prime minister, and on September 1, 2015, he moved to the post as foreign minister. In that capacity, Kvirikashvili visited the UK in late November to discuss regional security, and Georgia’s European and Euro-Atlantic integration. He attended the second plenary session of UK and Georgia – Wardrop Dialogue dedicated to bilateral cooperation and defense. Irakli Garibashvili, the PM at the time, had a meeting in Lithuania, and the delegation included Kvirikashvili as foreign minister.